Hi there, as a fresher arriving this upcoming year you have so much badminton to look forward to. 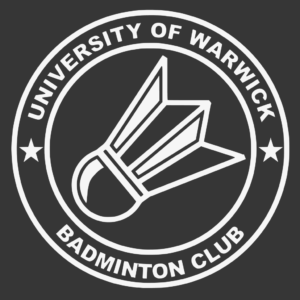 We at the University of Warwick Badminton Club work hard to bring you as much badminton to the students at Warwick as possible. We hold sessions for all levels of player, from the very beginners to top level county we look to bring everyone the opportunity to join in with us. Club Players get exclusive access to upwards of 4 badminton sessions at various times every week. 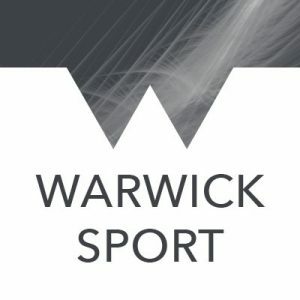 Alongside those sessions coaching is available either through our close partnership with Warwick Sport and their Warwick Active Badminton Coaching Courses which run termly. We also have a large selection of coaches affiliated with the club who are happy to talk with you about arranging one-to-one coaching sessions. If you are interested in engaging in some friendly competition then look no further! Both Warwick Sport and UWBC both host tournaments every term. Now is the opportunity to test your skills against all the players at the university in a relaxed but competitive atmosphere. And if you want to engage in some weekly ‘league style’ badminton, feel free to engage in the brilliant Warwick Active Badminton League. BUCS is a vitally important part of our club. We hold trials at the beginning of the year and are always on the lookout for players who show the commitment and skill to represent #TeamWarwick. We host 5 teams in the BUCS leagues, 3 mens teams and 2 ladies teams. Alongside the leagues we also attend BUCS nationals every year. All teams get fantastic access to regular coaching sessions ran by our full time head coach Nic Strange. We are also privileged to hold Platinum Performance Status. This accolade entitle our first team members to the full suite of strength and conditioning training alongside nutritional, psychological and fitness guidance. First team members also gain access to even more coaching with our head coach including more sessions every week and dedicated one-to-ones.If you want more information please contact Nic Strange through any of the methods below. If you want to hear more from us our just want to ask us a questions you can contact us at the email below or by messaging our facebook page.